Treatment for any type of cancer is costly, but well worth the investment. Planning ahead can help you avoid unexpected expenses. One of the first things on anyone’s mind when diagnosed with a serious disease is how to pay for treatment and its related expenses. There is nothing worse than getting caught off guard by an unexpected expense. Patients and their families can avoid this by knowing what to expect and planning ahead. The costs of mesothelioma treatment can be steep, with patients usually incurring more expenses than they initially expected. These expenses start with medical costs and may also include travel and caregiver expenses. The American Cancer Society recommends bringing up treatment costs with your doctor immediately. This way, patients can gain a realistic expectation of treatment and take immediate action to cover the costs. There are several ways to pay for treatment. Traditionally, patients can resort to insurance and savings, but this may not be enough. There are other ways to lower costs such as asbestos trust funds and charitable organizations. 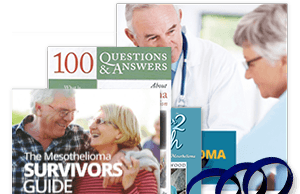 Get more information and resources for assistance in our free Mesothelioma Guide. In addition to general treatment, mesothelioma requires a lot of tests and checkups to ensure the best life expectancy possible. Patients may also incur travel expenses, caregiver expenses and lost-wage expenses. 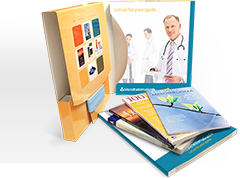 Knowing what kind of expenses to expect can help patients and families stay one step ahead. Other expenses may not be obvious when first taking treatment costs into consideration. Patients may require the support of a caregiver or an assisted living facility. In addition, lost wages are usually a large source of debt incurred and another expense patients and families need to prepare for. Travel is an expense that is often underestimated. The rarity of mesothelioma means there are fewer specialists treating this disease compared to more common cancers. Therefore, patients often have to travel for treatment. There are many different health insurance plans available. From public health insurance plans, such as Medicare or Medicaid, to private private health insurance plans Blue Cross Blue Shield, each with their own stipulations as to which aspects of treatment are covered by the plan. It is important to keep track of medical records and medical bills to ensure the full reimbursement covered by insurance is received. Health insurance coverage can get complex—especially with respect to cancer treatment. Doctors can typically answer basic questions about health insurance coverage and hospitals may have health insurance specialists available to help patients navigate the various avenues of their individual healthcare plans. Unfortunately, even the best of health insurance plans won’t cover all the costs of mesothelioma treatment. This means patients and families must plan for out-of-pocket expenses. Copayments, coinsurance and deductibles are all expenses that mesothelioma patients and their families must prepare for. How much will my health insurance cover? How can I get help paying for this treatment? What can I expect in out-of-pocket expenses? "There are many ways to help pay for treatment, lodging, and travel expenses." The expenses associated with mesothelioma are vast and vary with each patient and where they are in the treatment process. Mesothelioma specialists may be able to provide advice for managing treatment costs and there are also some resources that mesothelioma patients and their family members can take advantage of in order to lower treatment costs. Not only do clinical trials offer unique treatments for mesothelioma patients, but they may be a great way to offset treatment costs. Because these trials are experimental, the cost of the procedures and medications being tested are typically covered or reduced. However, some other related treatment expenses, like doctor visits or imaging tests, generally aren’t covered. There is only one known cause of mesothelioma—asbestos exposure. Mesothelioma is usually a result of ongoing occupational exposure to asbestos. Military veterans, those in construction trades and even the spouses of these individuals can be affected. These individuals may be entitled to financial compensation from asbestos trust funds designed to help mesothelioma patients get better treatment. Veterans make up the largest group of people with mesothelioma. Fortunately, the VA recognizes mesothelioma with financial benefits for patients and caregivers and they are generally eligible for full benefits. Furthermore, veterans with mesothelioma can take advantage of free help filing a VA claim, which means less stress and faster access to benefits. There are many nonprofit organizations and charitable foundations designated to help cancer patients afford treatment by reducing ancillary expenses. For instance, some hospitals offer reduced-cost housing for family members and some organizations offer free flights for cancer patients. The Cost of Cancer Treatment. American Cancer Society. Retrieved from: https://www.cancer.org/treatment/finding-and-paying-for-treatment/understanding-financial-and-legal-matters/the-cost-of-cancer-treatment.html. Accessed: 10/10/18. Paying for Clinical Trials. National Cancer Institute. Retrieved from: https://www.cancer.gov/about-cancer/treatment/clinical-trials/paying. Accessed: 10/10/18. Managing Insurance Issues. American Cancer Society. Retrieved from: https://www.cancer.org/treatment/finding-and-paying-for-treatment.html. Accessed: 10/10/18. Last Edited: October 12, 2018.